People are often drawn to particular historical times. For me, the more I learn about ancient Greek and Mesopotamian civilisations, the more I realise that ‘progress’ is not a natural, upwardly inclining gradient, but rather resembles the movement of the Aussie dollar against the greenback. It is the mix of ideas, scientific, mathematical, philosophical and aesthetic and the equal status of all these areas of erudition that I admire about this time and its ongoing influence on all that we think and do. But the conflicts then are like the conflicts now. In some areas progress is a horizontal line. The other period that I find particularly enticing is the late 19th into the early 20th centuries, for the same reasons. But brilliance in similar fields was about to collide with the First World War – the sublime overridden by the belligerent and crass, though the conflict helped foster technological development and some nice poems. Prior to this, within music and other pursuits, there was much communing rather than conflict. Particularly, like two tentative teenagers gazing at each other across a divide, impressionism and jazz, at first ‘influencing’ each other, gradually embraced. 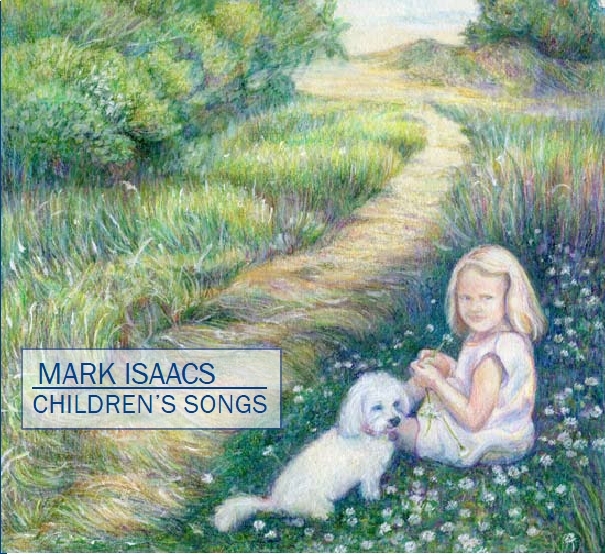 On his album Children’s Songs, Mark Isaacs captures this point in time on many of the tracks. In the accompanying notes, James Gavin describes Isaacs’ referencing of Bach, Schumann, Bartok and others, but I largely hear a marriage between Debussy and Gershwin and it is, as they say, a match made in heaven. Schumann is the other major sonority. 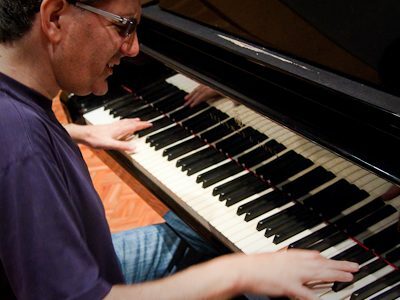 In addition to his work as a jazz pianist, Isaacs is a prolific composer and his music, even in moments of deep and intense contemplation, is beautiful. He draws from a well of cross-continental, historical and stylistic heritages in all his composing, from the romanticism of his Pieces for Cello and Piano to the eclecticism of his Symphony No. 1 where there is homage to Sculthorpe and an array of other influences. Isaacs writes particularly well for cello, also featured in his Wind in the Willows, part of The Hush series. On this album, what is evocative is the use of whole tone scales and more chromatic derivations of them, the lack of a home base which depletes the anticipation and tension tonality brings. There are gorgeous suspended chords, an Isaacs trademark, so perfect on the timbrally forgiving medium of the pianoforte in twisting one’s gizzards to just the right tension. Equally he creates a lovely sense of flow in his work, particularly through his use of rhythm which, like his exploration of scales, is not homebound. The movement away from constraining established structures with a focus on the natural environment helped define Art Noveau and Impressionism in all aesthetic pursuits during the late 19th and early 20th century. Jewel Isaacs’ beautiful cover art for this album consolidates this sense. Contributing to the overall musical impact is Isaac’s sensitive dynamic interpretation of every note and, beyond the rhythmic feel his micro-timing is immaculate in its expressiveness. For example Are We There Yet? comprises a series of descending melodic ostinatos with only the resonance of each note impacting on the following to create any harmonic accompaniment. It is like a series of children’s sighs accompanying the long trip, you know, the ‘let’s drive to Broome’ kind. The piece’s effectiveness relies on the performer’s sensitivity of touch and Isaacs masterfully straddles the boredom he wishes to convey, with listener engagement. Isaacs set himself the goal of composing a song per day for the album, part of the discipline requisite for a creative mind – like an author setting daily word counts. He would sit and play and gradually sculpt each piece. It’s a remarkable endeavour. Water is a ‘thing’ for Isaacs, or so it seems. He explores this theme here and on other albums. The River, which follows Are We There Yet? seems to be the composer where he wishes to be. It is as complex as AWTY is sparse. There is stillness created through paced, heavy chords on the bottom of the river and this incredible chromatic, lyrical interplay of rapid fire arpeggios with an overlaying melody that shifts in its voicing from ‘soprano’ to ‘alto’ so that the movement of the water’s molecules in all their wondrous chroma are beautifully conveyed. And if you truly want to know a composer, you gravitate to any piece called Home because you know that’s where the heart and soul lie. And there is Isaacs messing with those lovely bi-tonal mashes, the stillness, the dwelling he likes to employ to capture the resonance of sounds, the syncopated rhythms and those lovely Debussyesque melodic meanderings and broad harmonies melded with a little jazzy tinkering. 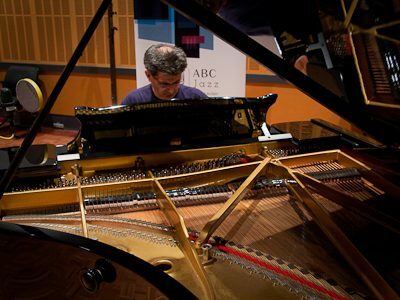 Gentle Swing with its much more structured triple metre evokes the playfulness and gentleness of that ‘wind in the hair, almost flying but not quite’ feel and Isaacs uses a musically romantic approach to this piece with full jazz-inspired harmonies infusing it as the swing reaches the apex of its trajectory. The last piece, Abschied (nicht) rests much more in Schumann’s arms. It is deep and rich with a massive melodic range and is going somewhere with its strong tonality although for a moment there, we’re left hanging wondering if it will. Night, of course, darkness, awaits us all in its various guises. Isaacs captures this beautifully.